The South security checkpoint at Hartsfield-Jackson International Airport reopened yesterday for the launch of new lanes aimed at speedier processing of passengers — just days before the rush of Memorial Day travelers begins. 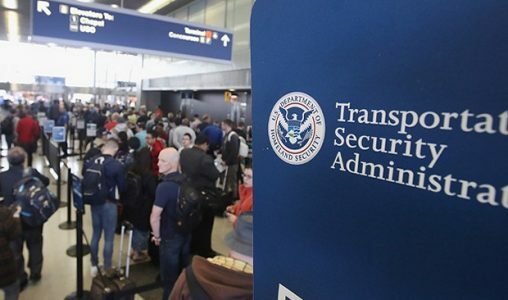 The closure of the South checkpoint over the past three weeks led to complaints and consternation among travelers who were faced with lines stretching from the main checkpoint through the terminal atrium, around the corner and snaking around baggage claim carousels during the busiest periods. Two of the four lanes at the South checkpoint have been replaced with a new system using a RFID (radio frequency identification) system on bins on automated conveyor belts and multiple stations for passengers to load items into bins, aimed at reducing the issue of getting stuck behind a passenger taking more time to load bins. Hartsfield-Jackson is the first airport in the country to test the new “smart lane” system, in a partnership between TSA, the airport and Delta Air Lines. TSA says it plans to open all of the checkpoints at Hartsfield-Jackson on Wednesday on regular hours, with the South checkpoint using the two new lanes. On Thursday as Memorial Day travel begins in earnest, all three checkpoints will be open with regular operations. To read more at The Atlanta Journal-Constitution, click here.